While the Falcons and Patriots engage in a shockingly defensive battle tonight in Super Bowl LI, the newest trailer for Logan aired. Watch the extended Super Bowl TV spot here below for the upcoming Twentieth Center Fox sequel starring Hugh Jackman as Wolverine and Patrick Stewart as X-Men‘s Professor X. The first Logan trailer made incredible use of Johnny Cash’s cover of Nine Inch Nail’s Hurt. This time, the 30-second spot sees Hugh Jackman, Patrick Stewart, and others set to another slow-paced classic tune, a rendition of “Amazing Grace.” As it plays, we watch “Old Man” Logan slice and dice his way through adversaries in pursuit of X-23 (Dafne Keen), and we get to see more of the young mutant’s abilities and powers. One of the new characters shown is the mutant Caliban, played by comedian Stephen Merchant. Jackman, who has played Wolverine since 2000’s X-Men, just masterfully owns this role and can probably play it in his sleep at this point. He and Stewart, Professor X since 2000, both claim to be retiring from these roles with this film. As usual, the trailer ends with young X-23 holding Logan’s hand. The most notable thing about the trailer is the loud “Rated R” at the end. 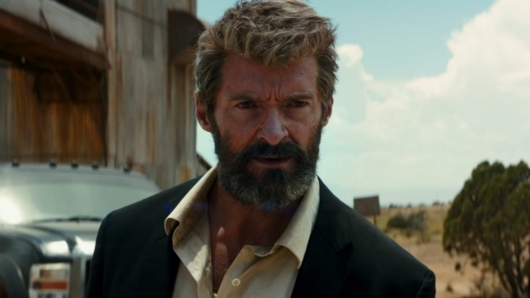 If Jackman and Logan are going out, they’re going out in a blaze of bloody glory. The Atlanta Falcons and New England Patriots meet for Super Bowl LI at NRG Stadium in Houston, Texas, at 6:30 pm ET on Sunday, February 5, 2017. The Big Game will be broadcast on FOX TV, with FOX Sports GO streaming it online. 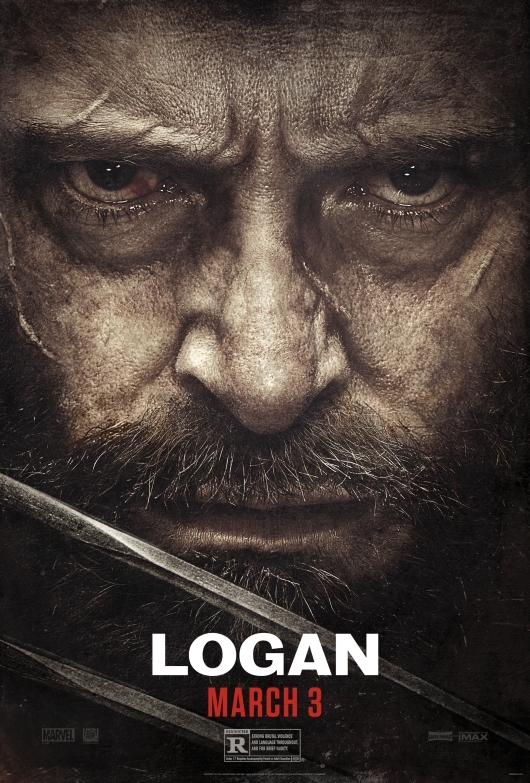 Starring Hugh Jackman, Logan is in theaters – March 3, 2017.